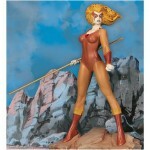 BBTS has posted a preorder for a Thundercats Cheetara 11″ Cold Cast Porcelain Statue by Hard Hero. While the face sculpt is not final and new images are expected shortly this collectible is expected to ship in the 1st Quarter of 2010 for the price point of $179.99. Awesome. I made my preorder...hope changes to the face aren't too drastic. Statues are all well and good, I just hope that this leads to a new show and a new line. Very dynamic, for a statue. 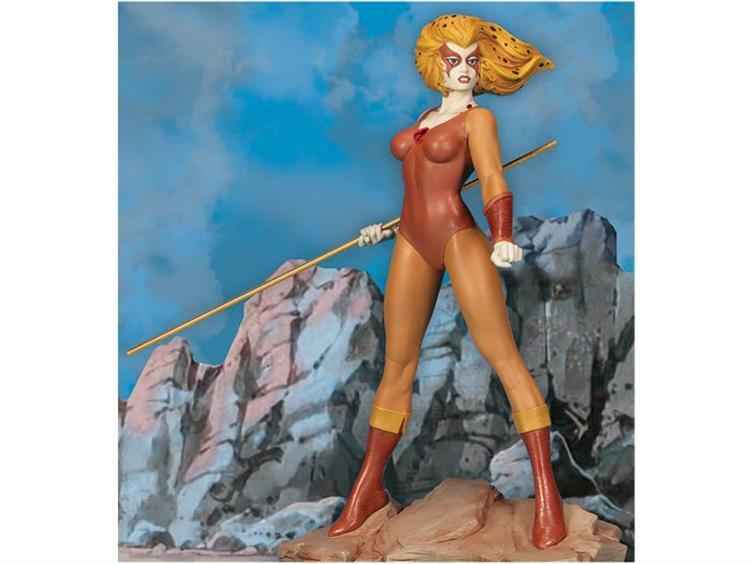 Of course, for a new Thundercats line I'd want it to be made by Mattel (with 4H) if it's 6"-scale. For 3.75"-scale, definitely needs to be Hasbro. I hope then it's Mattel that gets it. Maybe even from mattcollector. I'm not a huge fan of the 3 3/4 lines. I'd like to see Mattel get it, and make them in Scale with He-Man. However, if it's a 3 3/4 line, it should go to Hasbro.